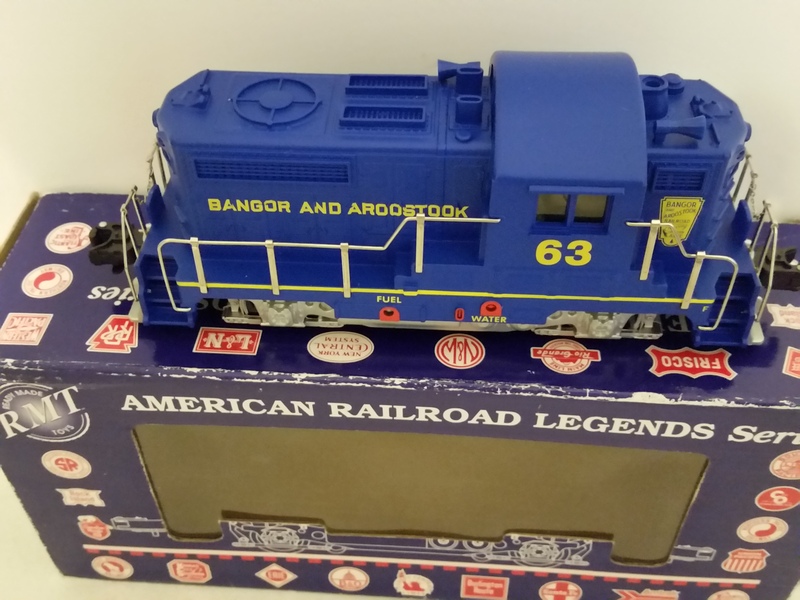 The RMT 4671 BAR BEEP Powered Diesel Loco #63. 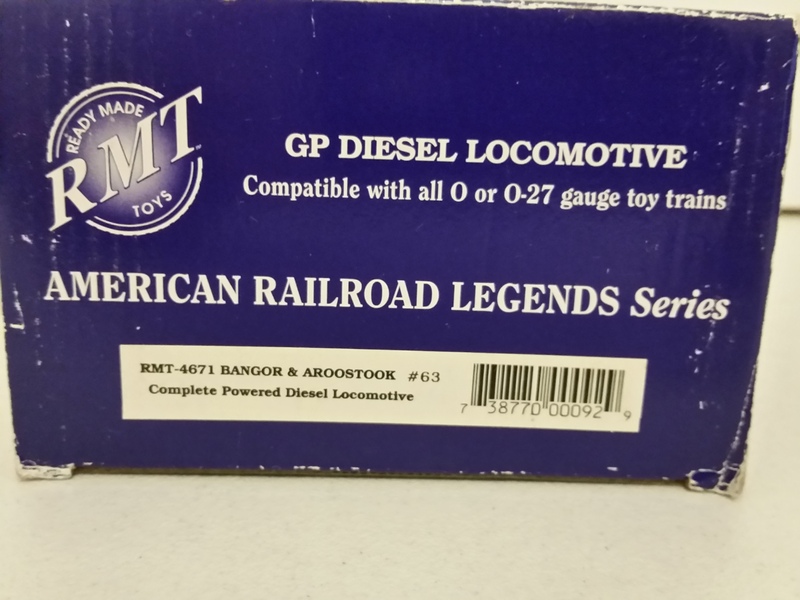 RMT Beeps are very popular amongst model train lovers. 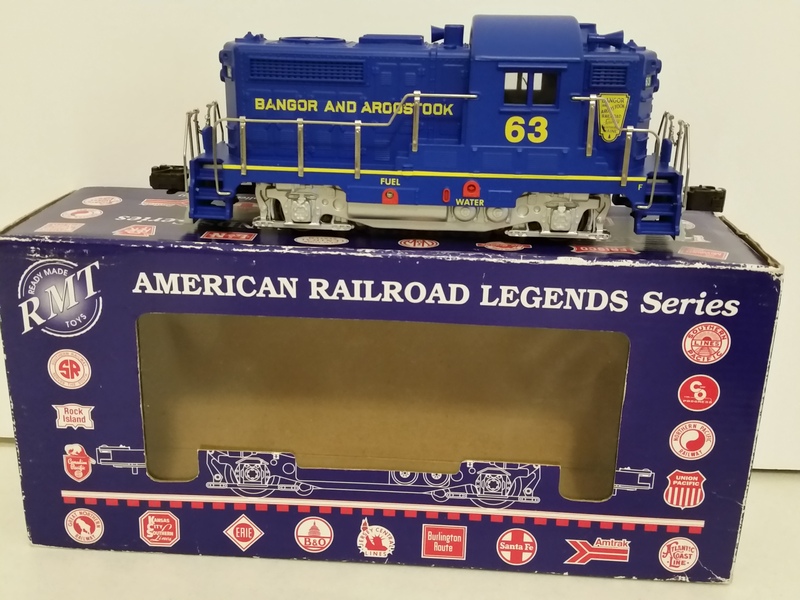 The BEEP is modeled after GEEPs (GP-9‘s),and condensed into a smaller baby-sized version of your traditional O gauge diesels. Don‘t let its size fool you, this engine has the pulling capacity of your standard O gauge engines. Features include dual can motors, an electronic 3-position forward-neutral-reverse unit, directional lighting, dual roller power pickups, operating metal knuckle couplers, metal railings, decorative horns and metal wheels. 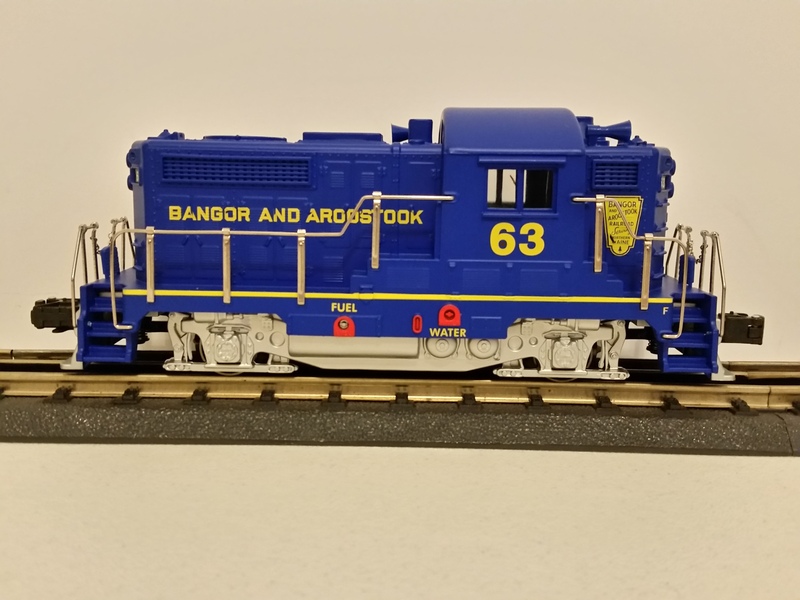 It is compatible with all Lionel, K-line, MTH, Atlas, Williams and Weaver electric trains and is perfect for use on all O and O-27 3-Rail model train layouts . It is 9.5 Inches long and operates on minimum O-27 curves.